You've worked for hours, days, years climbing that steep mountain. Each step was a struggle, a lesson learned, an opportunity to grow. You are so close to the peak that you can already imagine breathing in that crisp air of success. And suddenly, out of nowhere, is the ledge. You catch your balance looking over the edge of the cliff at the vast beauty spread out before you. This is the moment you've waited for, all you have to do is jump. Suddenly the view seems a little too high, and the air is a little too thin. You knees feel weak and all you want to do is slink back down the mountain on to flat, stable, dependable ground. I wonder how many people have felt this way. They work all their life chasing a dream and when opportunity is laid out before them, they shy away. I know that this has been and is a struggle for me. I've talked to several other 'creative' people this week who face the same struggle. Its hard to think about, its hard to talk about. We would rather slink away from our dreams, than have to face our fears. Art is it for me. The ability to create art is something God instilled in me since as young as I can remember. It makes me happy, really happy. It frustrates me, and challenges me in ways that constantly keep me growing and learning. There's no bigger joy for me than seeing a smile on someone's face as they look over a painting I've given them. If I could, I would just create just for the fun of it, and give just to see people smile. So in a sense, its hard for me to put my work out there and accept money when people want to buy it...because in all honesty, I'd do it for free. But I am learning something, God gave me an ability, just like he's given you an ability, that no one else has. We can create and do unique things that bring other people joy. So its OK to put your work out there and try to make a living off of it. There is no rule, that you must hate what you do in order to earn money. Its a blessing to be a blessing in other peoples lives. So how does all this tie in personally... I just recently activated paypal on my website, so yes, that means that people can finally buy my cards. And after all the flooding in Nashville, I felt blessed to be safe, and wanted to find a way to give back. 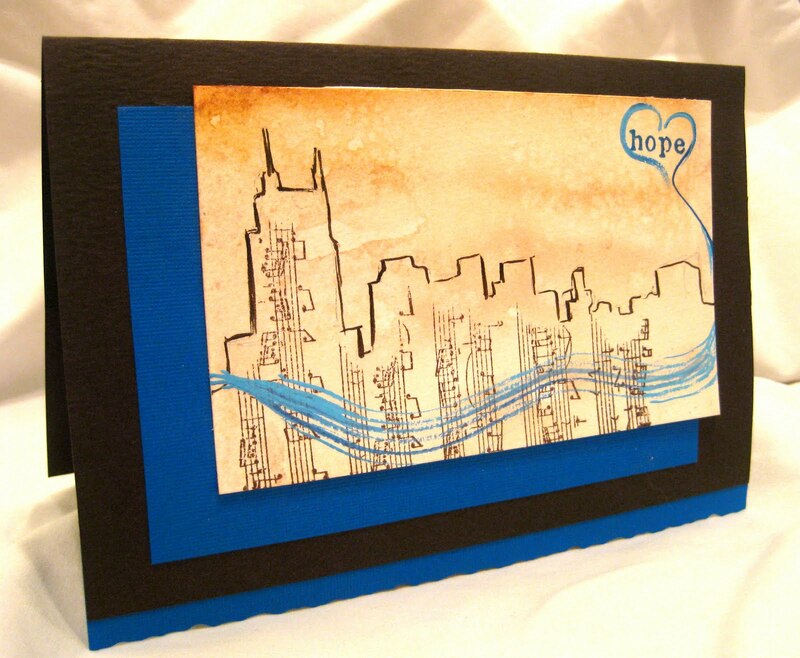 So one late night, I created a card, called "River of Hope." I am donating $5.00 of every card purchase directly back to help the Nashville flood victims. In all honestly, I am pretty happy with how the card came out. But there are always those doubts in the back of your mind that tell you "People wont buy that", or "there's already so many people raising money out there, no one will want to donate through your cards." Yeh, its scary to come out and admit that fear of rejection or failure. But there it is, all laid out. Now what? I wrote this honest post, not to guilt you into buying my cards, but to let you know whats going on in my head. I think alot of people can relate to it. Just remember when you have a dream, God put it there for a reason, so OF COURSE there are going to be voices from the enemy trying to bring you down. Just do what you love, support others, and just remember, if you hear those voices, you are not alone. People can't tell you how much they love your stuff, if you don't show them. So thank you to everyone who took the 'jump' and risked it all. You are an inspiration to us all and God is surely using your gifts to bless. I am attaching a picture of the Nashville Relief card. For more information about the card or purchasing, please go to www.lisscatcreations.com. Let me know what you think. And please keep praying for Nashville. I am proud of you...you'll step off the ledge soon enough...or I'll be pushing you!! ;) Love you..you are gonna do this, ya know.